Skin/Fur/Scales, Etc. : Skin, Clothes, Hair, It's not hard to find what's on a human you know. 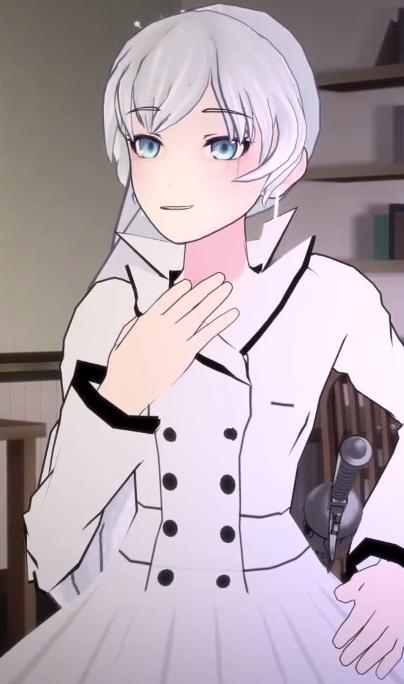 Looks: Weiss is usually in her regular attire (Which is my profile picture), which isn't very combat-orientated but when has RWBY ever been Combat-oriented in Fashion. (Not much to say on regular attire). She also has Pajamas, Prom and SnowPea clothing along with a School uniform which I'll show you now. Extra: She has a rapier called the Multi-Action Dust Rapier, Myrtenaster. 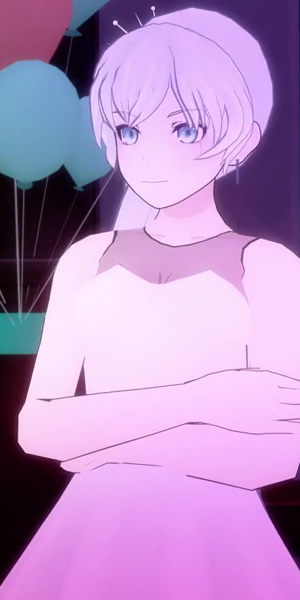 It is either the source or focuses Weiss' power, Dust. The Rapier itself is normal in size compared to other Rapiers and is silver-grey in colour. 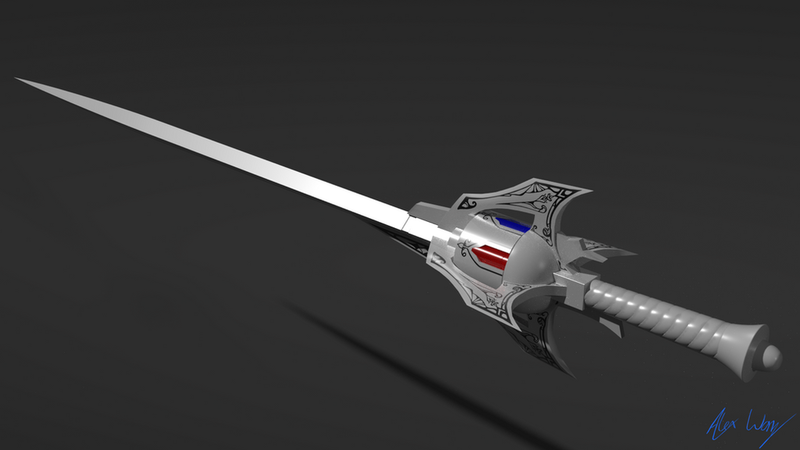 There's a revolver-like chamber in the hilt of the rapier which selects which dust she wants to use (Mostly frost/ice). The revolving chamber is constantly stocked with red, cyan, violet, white, yellow, and blue Dust. Strengths: Mentally strong, Fast, Smart, Adept at using dust, Heir of a rich company. Weaknesses: Does not deal well with Teamwork most of the time, She's a B****, Sometimes overlooks details about fights. She also lacks endurance (Taking strong hits). Accessories: Myrtenaster (Rapier), Clothes, Extra dust, Boots, etc. Special abilities: She is able to use Glyphs and Dust easily. ( Glyphs are able to do basically anything, and Adding dust will add a elemental effect. Combat style: Barrage them with quick and strong Dust attacks while defending and dodging quickly with Glyphs. Or in otherwords, she is thoughtful and fights with precision and coordination. She is analytical and tactical when in battle, waiting for the right moment to strike and retreating when circumstances are not favorable. Sometimes picking on Ruby when she feels like it. History: She comes from a rich family before going to Beacon Academy and trying to become a Huntress to hunt down Grimm. Not much else to add.